Blepharitis is an inflammatory eye condition caused by an excess of bacteria on the eyelids or other skin conditions including dandruff. 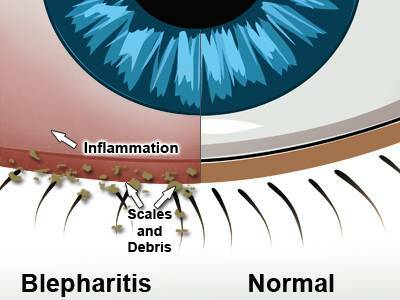 The symptoms of blepharitis are redness, itchiness, and irritation of the eyelids. The condition may lead to dry eye, blurring of vision, and misdirection or loss of eyelashes. Blepharitis may also be caused by proliferation of a mite called Demodex. Demodex must be treated with tea tree oil, specifically, for which there are both in-office and at home treatment regimens. With both antimicrobial and anti-inflammatory effects, tea tree oil has been effective at eradicating mites in lid scrubs and lid massages. This treatment is administered in Dr. Yeung’s Humble eye care office and has proven to be the most effective method in eliminating mites and irritation. 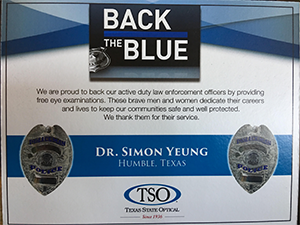 Please call us today to schedule an appointment and review the best option with your Humble eye doctor. Learn more about Pediatric Eye Exams in Humble.